Perquisites may be defined as any casual emolument or benefit attached to an office or position in addition to salary or wages. It also denotes some thing that benefits a man by going into his own pocket ; it does not, however cover mere reimbursement of necessary disbursements. 1. Perquisites - Taxable in all cases. 3. Perquisites - Taxable only in the hands of specified Employees. Perquisites is a gain or profit incidentally made from employment in addition to regular salary or wages. Following are few perquisites which shall be taxable. Free meals if provided by during working hours and value exceeds Rs.50 per day. Excess is taxable. Club facilities actual expenditure is taxable. Interest free loans or loan at concessional rate of interest if more than Rs.20,000 and if not for medical treatment-difference between prescribed rate and rate charged is taxable. Use of movable assets except computers and laptops. Expense on tours and travels. 1) Leave Travel Concession subject to conditions & actual spent only for travels. 2) Computer/ Laptop provided for official / personal use. Initial Fees paid for corporate membership of a club. Payment of annual premium on Personal Accident Policy. Subscription to periodicals and journal required for discharge of work. Gift not exceeding Rs. 5,000 p.a. Use of Health Club, Sports facility. Free telephones whether fixed or mobile phones. Contribution to recognized Provident Fund / approved super annuation fund, pension or deferred annuity scheme & staff group insurance scheme. Free meal provided during working hours or through paid non transferable vouchers not exceeding Rs. 50 per meal or free meal provided during working hours in a remote area. 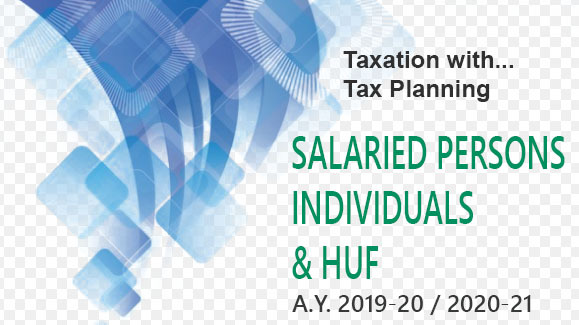 The value of any benefit provided free or at a concessional rate (including goods sold at concessional rate) by a company to the Employees by way of allotment of shares etc., under the Employees stock option plan as per Central Government Guidelines. Free education , training or refresher course for employees. Free ration received by member of armed force. Perquisites allowed by Govt. by its employees posted abroad. Rent free house given to office of Parliament, a Union Minister, and leader of Opposition in Parliament. Free Residence and Conveyance facilities to Judges of Supreme Court and High Court. Free Conveyance provided by employer to employee for going to or coming from palace of employment. Employers contribution to staff group insurance scheme. Tax on Perks paid by employer. PERQUISITES - TAXABLE ONLY IN THE HANDS OF SPECIFIED EMPLOYEES. Car owned by employer but used by employee both for personal and official purpose. Free Transport Allowance by employer engaged in Transport Business. Service of Domestic servant provided by employer.